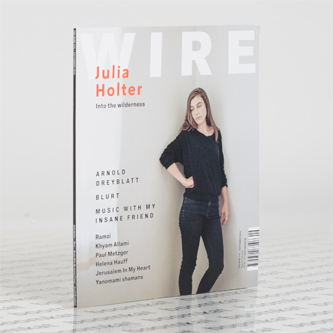 Julia Holter preps the scene for her new LP, 'Have You In My Wilderness' in this month's featured interview. You'll also find articles on jazz-punk renegades Blurt, Arnold Dreyblatt undertaking the invisible jukebox, and Global Ear in Lima. Also includes all the usual news, reviews, listings etc.